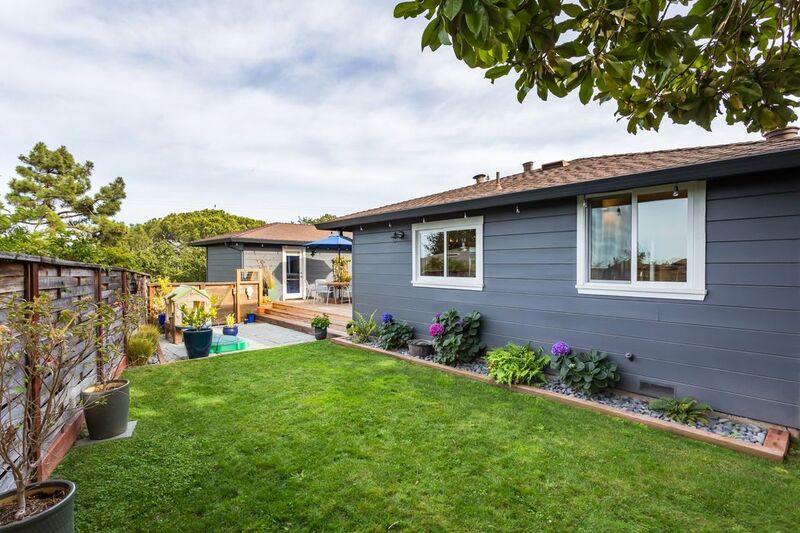 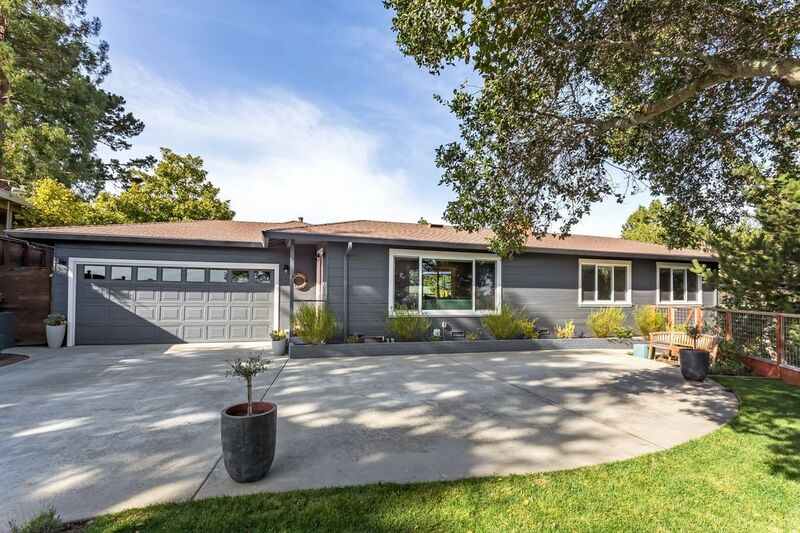 Private 3 Bed, 2 Bath Single Story Home Belmont, CA 94002 | Sotheby's International Realty, Inc.
$1,688,000 2 Bedrooms1,470 sq. 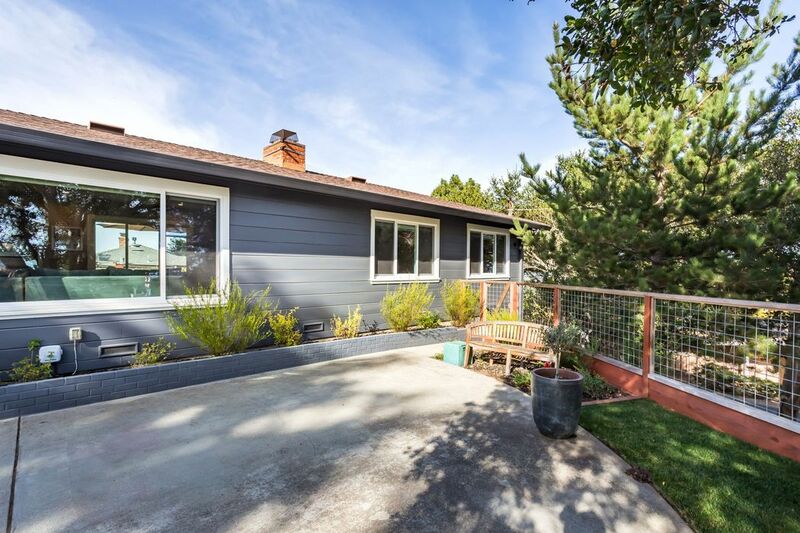 ft.
Sun-drenched 3 bedroom, 2 bath home sits atop a private lot nestled in the Belmont hills. 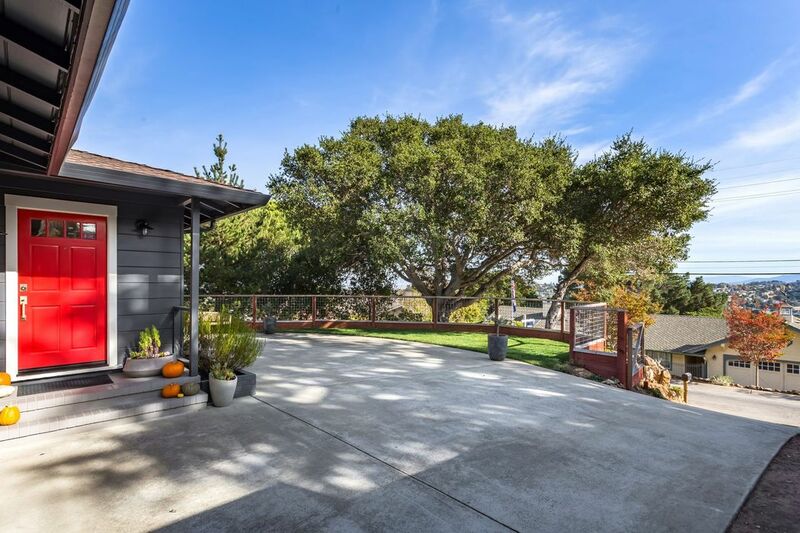 The private drive welcomes you to this home, where you can enjoy the serene views of the surrounding hills. 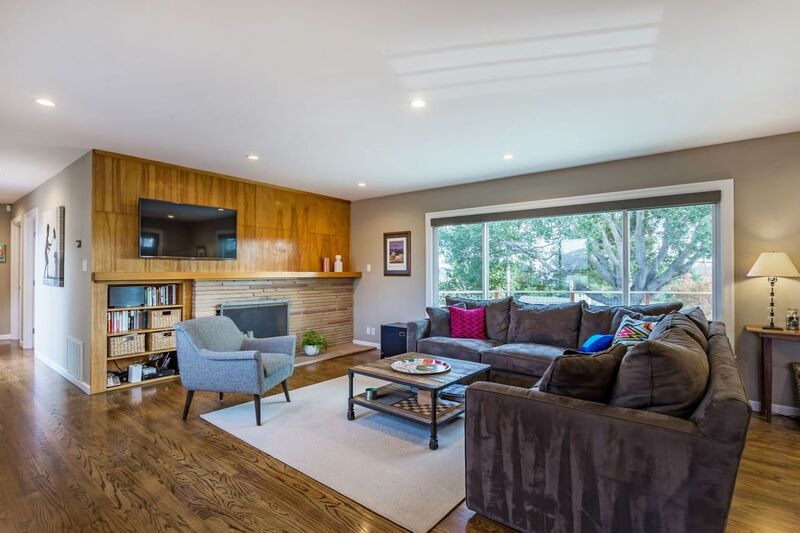 The bright living room overlooks the front yard and offers a welcoming fireplace and a wall of windows that lookout to the front yard and surrounding hills. 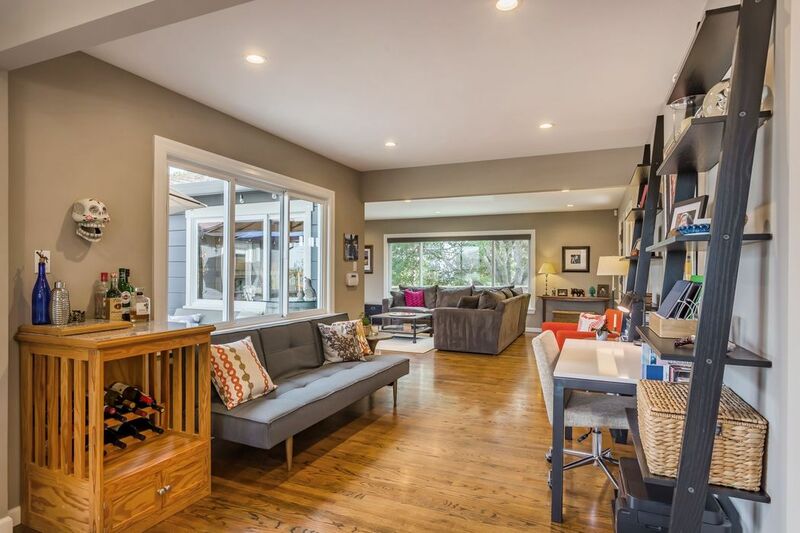 Between the kitchen and living room, you'll find a separate sitting area that is currently used as an office space/family room. 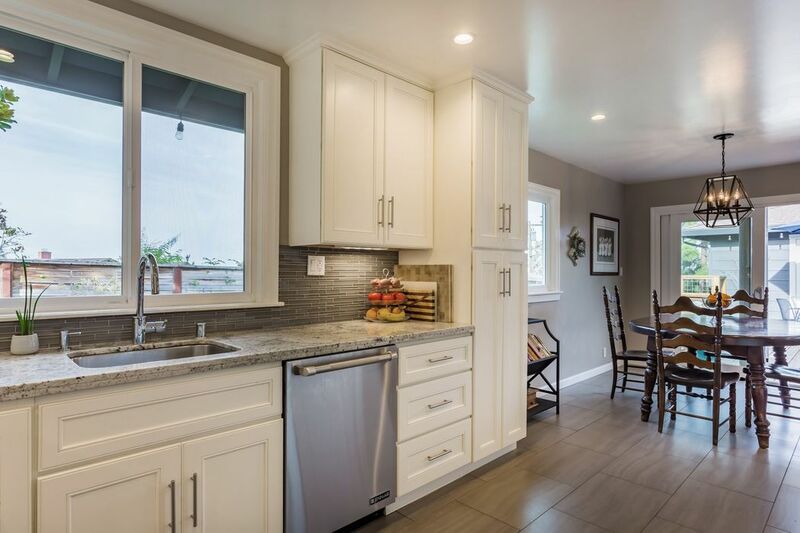 The flexibility of the open floor plan provides for an infinite number of options to suit all lifestyle needs. 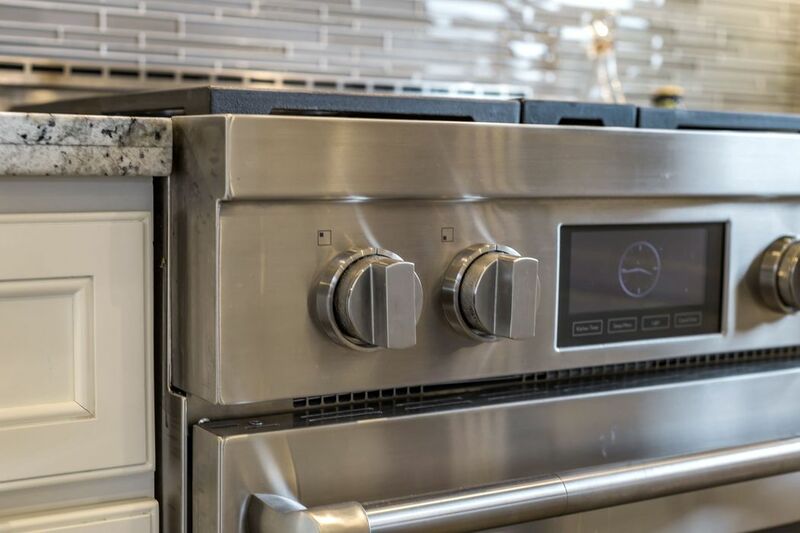 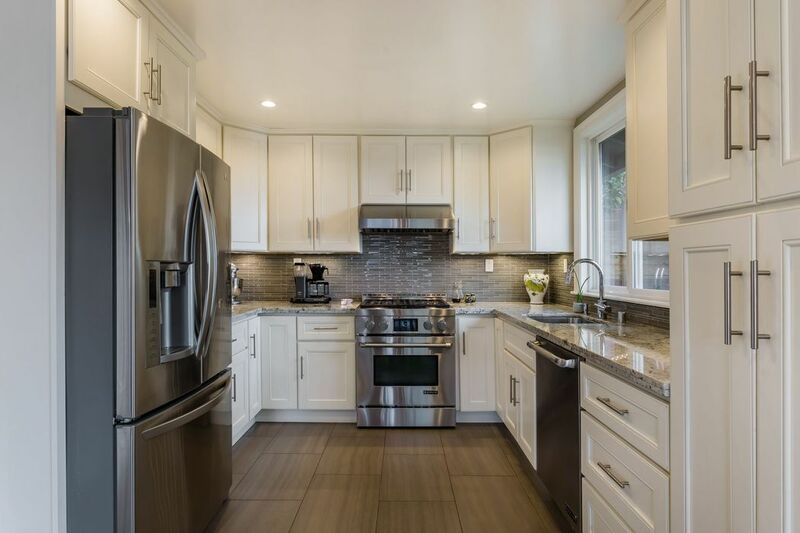 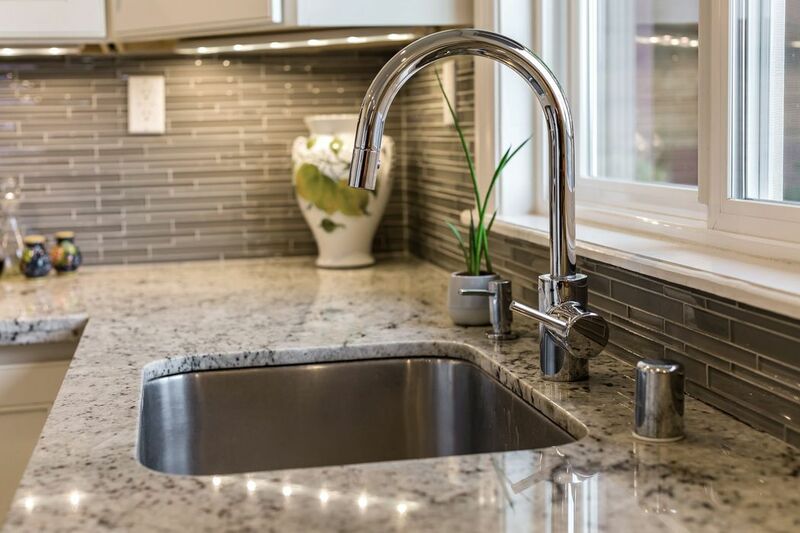 A spacious kitchen has been upgraded with fine quality granite counter tops and cabinets, along with a stylish backsplash to complement it, a gas range, and stainless steel appliances. 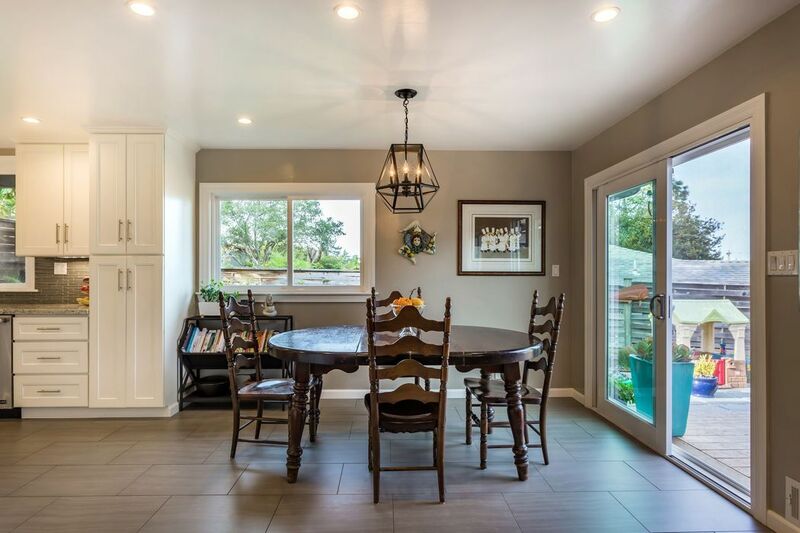 There is a dining area connected to the kitchen that offers access to the yard, making it a breeze to entertain. 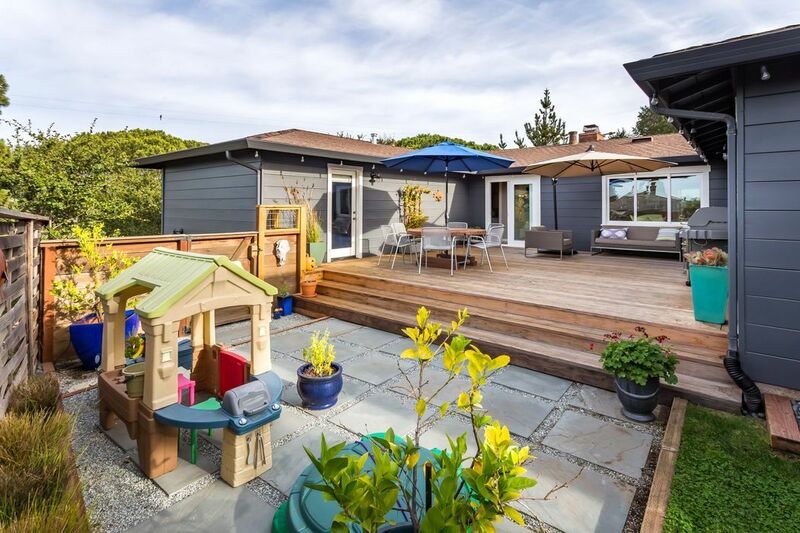 There is a large, wrap around deck that is accessible from multiple areas of the home. 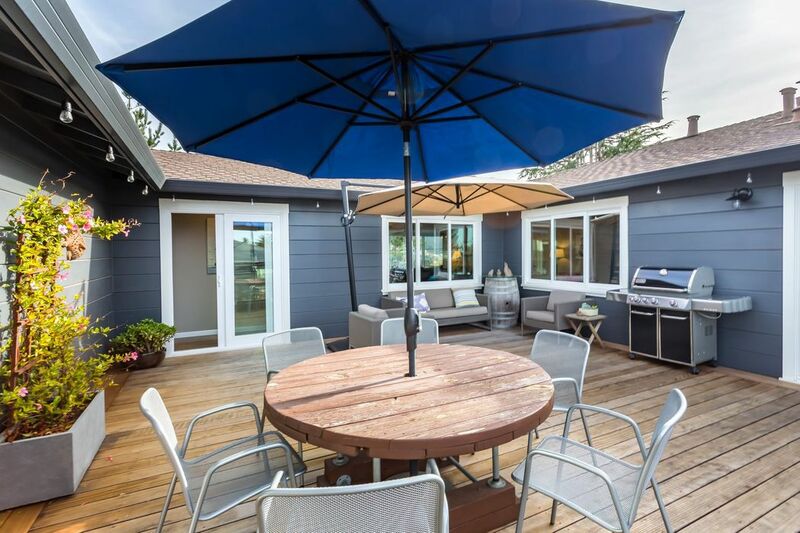 This deck steps down to the patio area and lush lawn, making it a great place to spend time with friends and family. 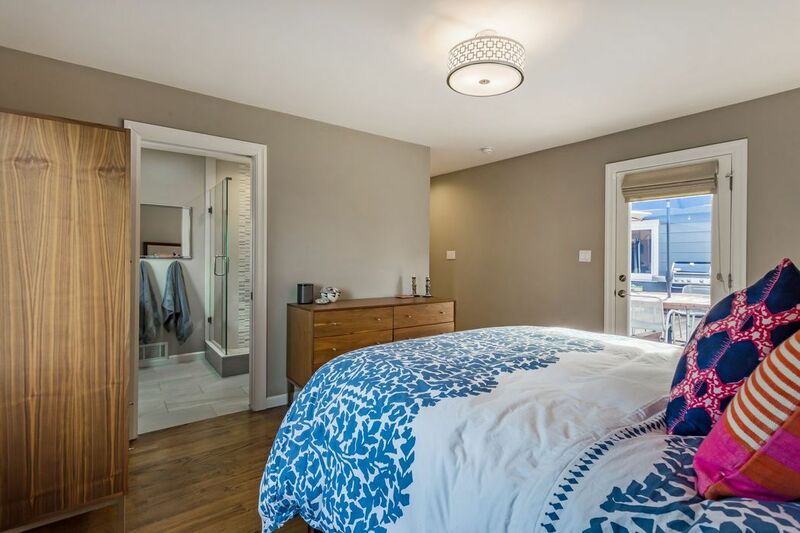 Both baths have been renovated with sleek finishes, including the master en suite, that boasts a stall shower with beautiful tile work. 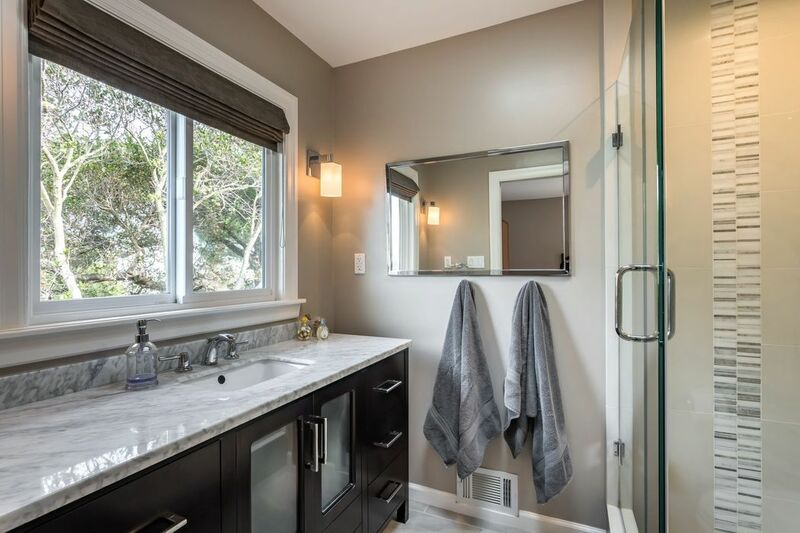 The hall bath comes complete with a tub, and modern tile. 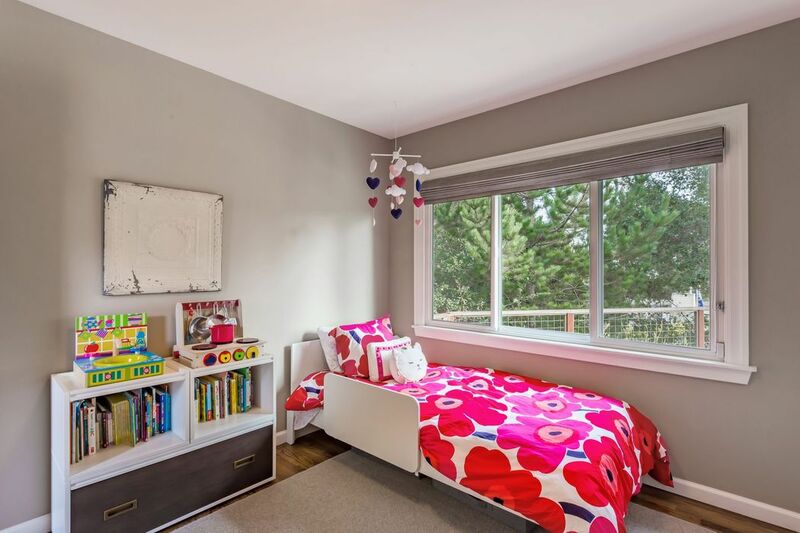 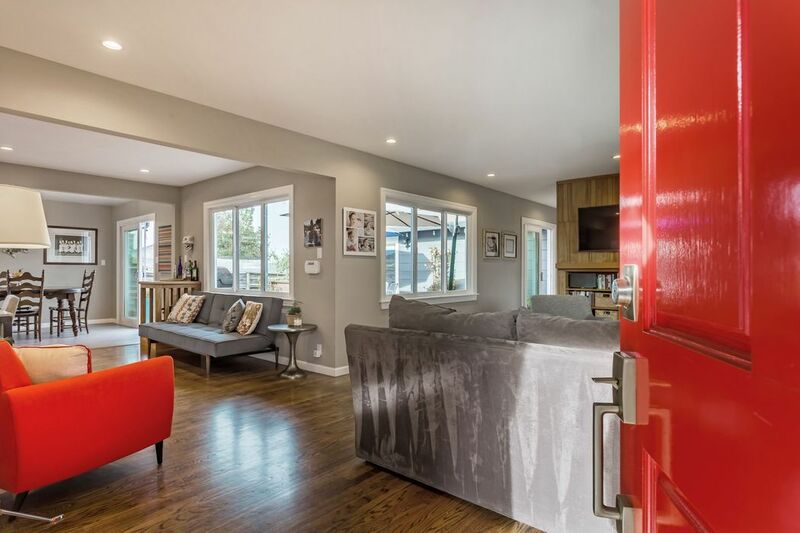 The gleaming hardwood floors accent all the finishes that have come together brilliantly to offer modern living. 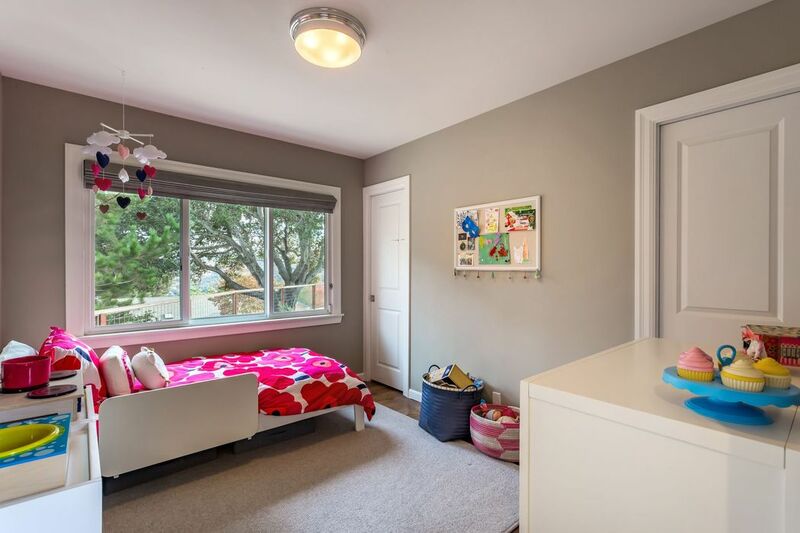 There is also a 2 car attached garage with a laundry area. 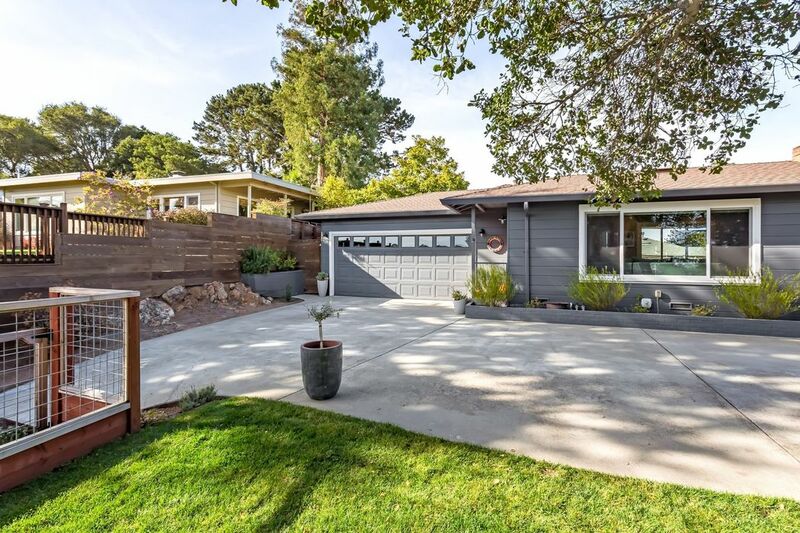 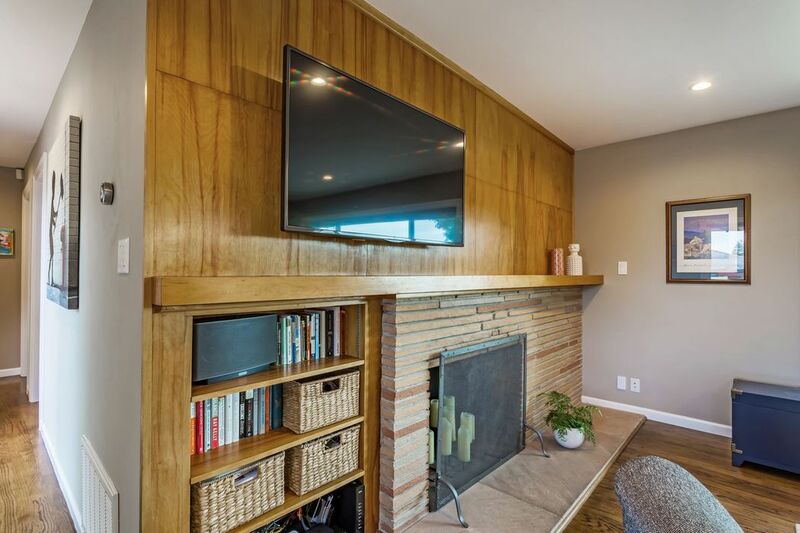 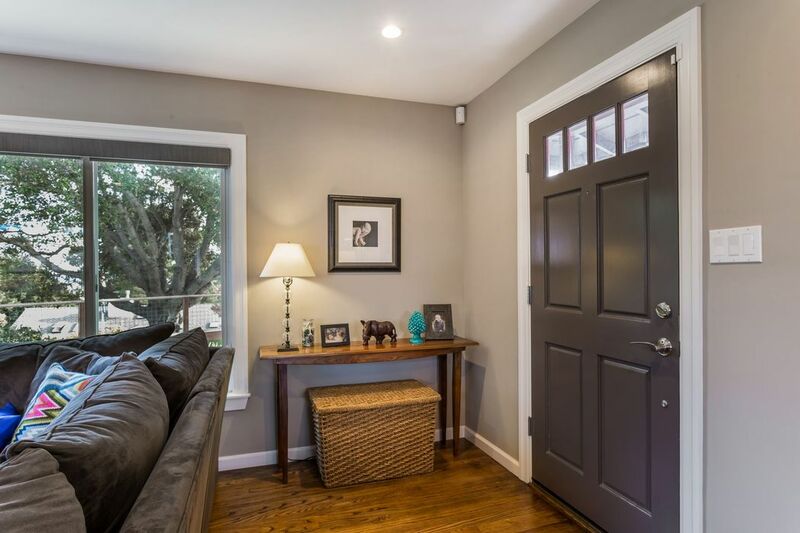 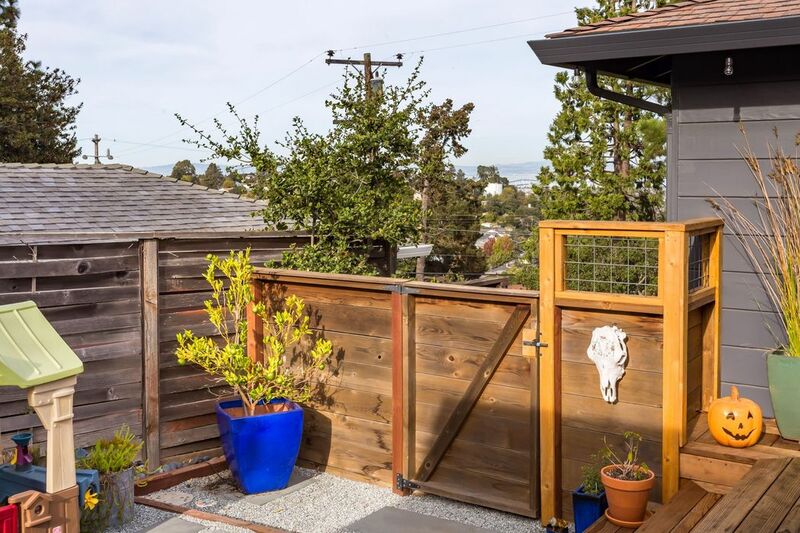 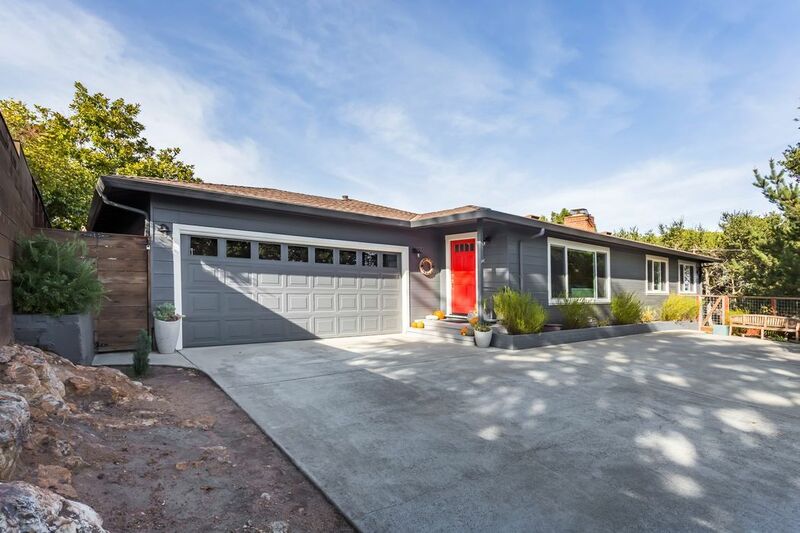 Sun-drenched 3 bedroom, 2 bath home sits atop a private lot nestled in the Belmont hills. 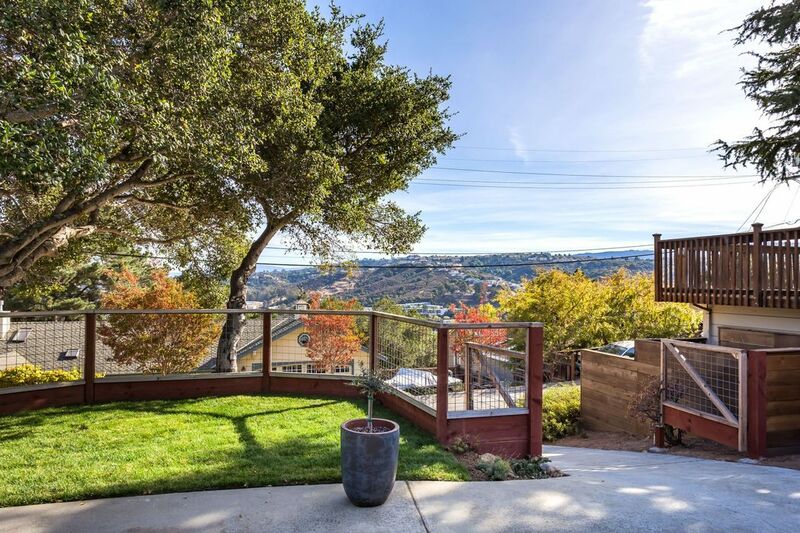 The private drive welcomes you to this home, where you can enjoy the serene views of the surrounding hills. 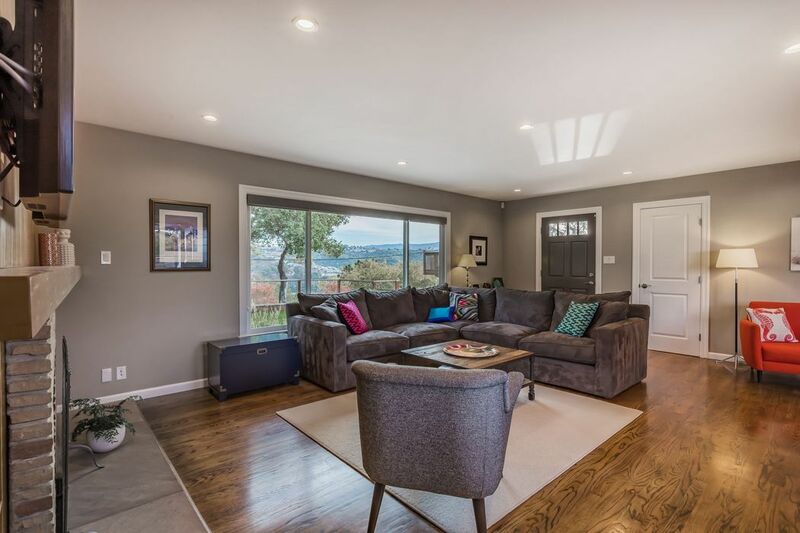 The bright living room overlooks the front yard and offers a welcoming fireplace and a wall of windows that lookout to the front yard and surrounding hills. 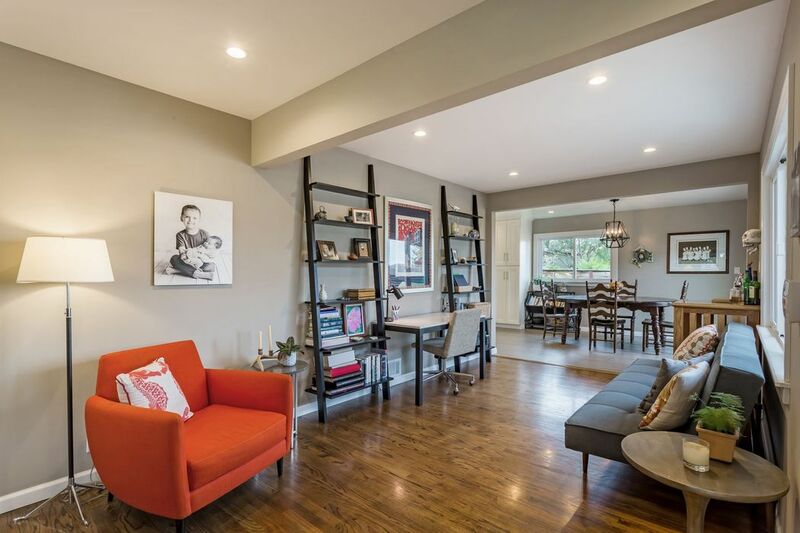 Between the kitchen and living room, you'll find a separate sitting area that is currently used as an office space/family room. 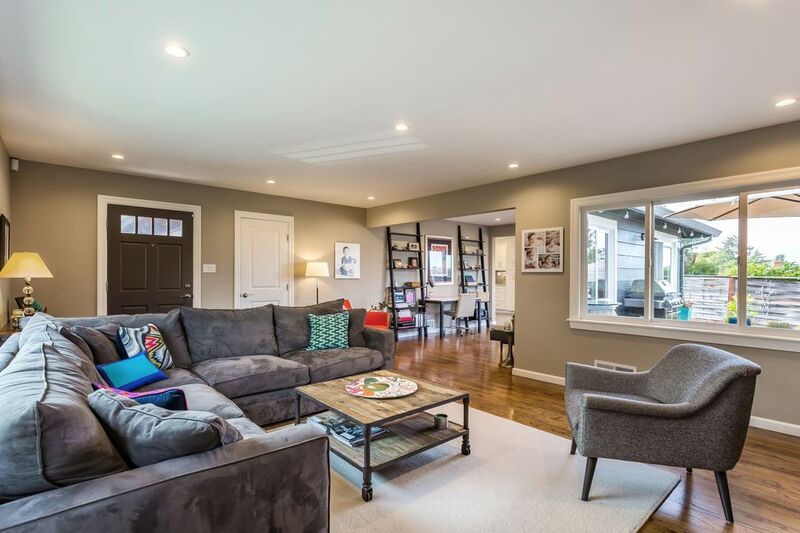 The flexibility of the open floor plan provides for an infinite number of options to suit all lifestyle needs. 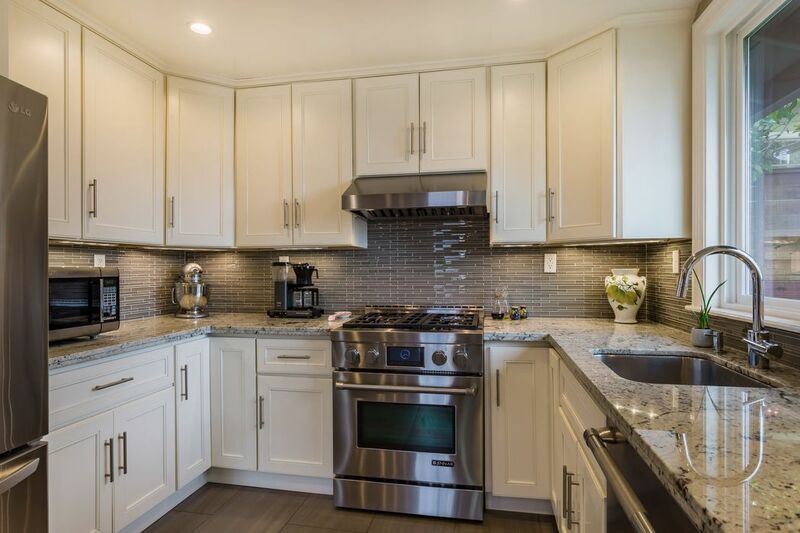 A spacious kitchen has been upgraded with fine quality granite counter tops and cabinets, along with a stylish backsplash to complement it, a gas range, and stainless steel appliances. 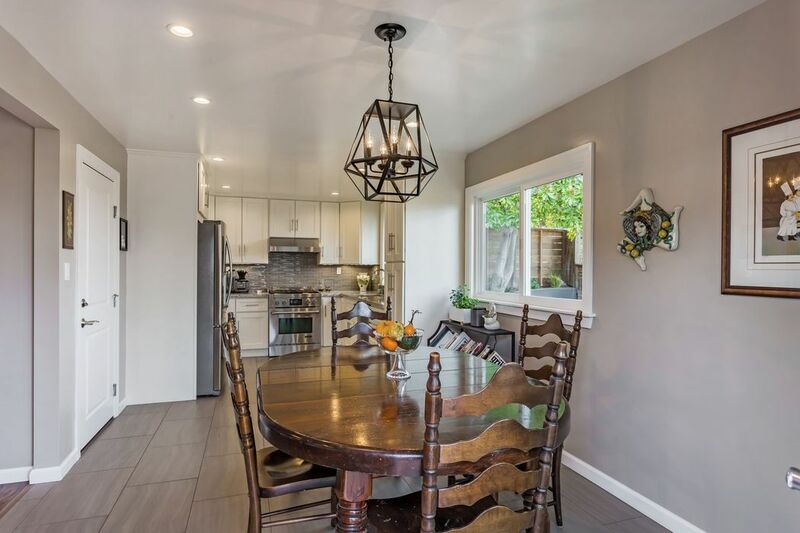 There is a dining area connected to the kitchen that offers access to the yard, making it a breeze to entertain. 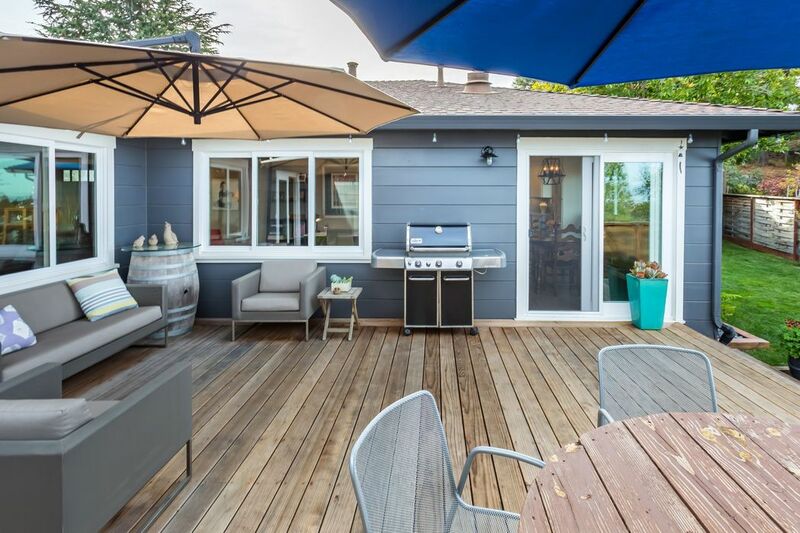 There is a large, wrap around deck that is accessible from multiple areas of the home. 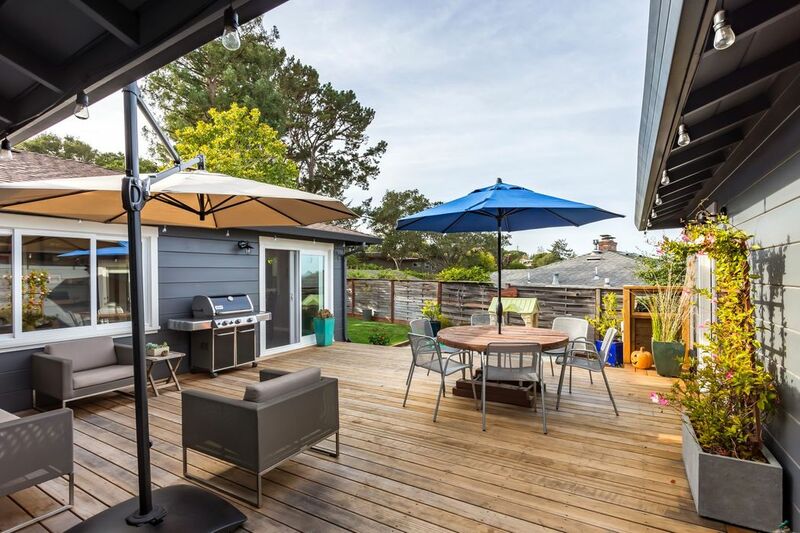 This deck steps down to the patio area and lush lawn, making it a great place to spend time with friends and family. 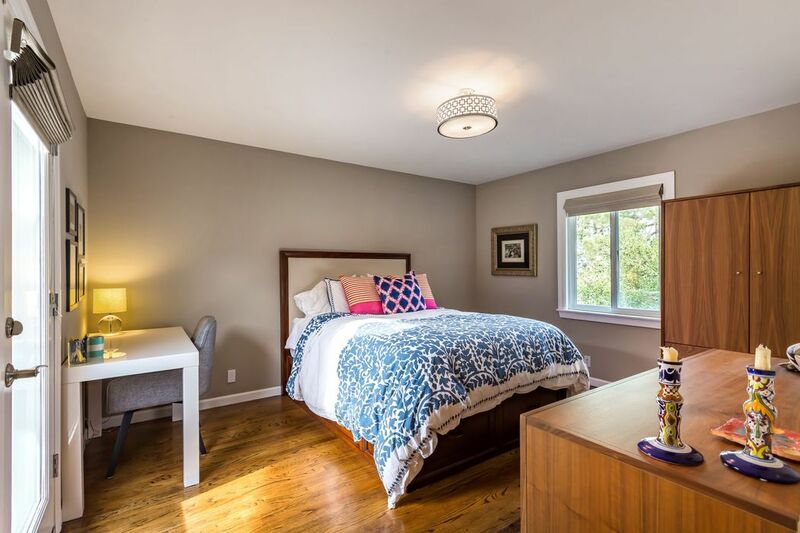 Both baths have been renovated with sleek finishes, including the master en suite, that boasts a stall shower with beautiful tile work. 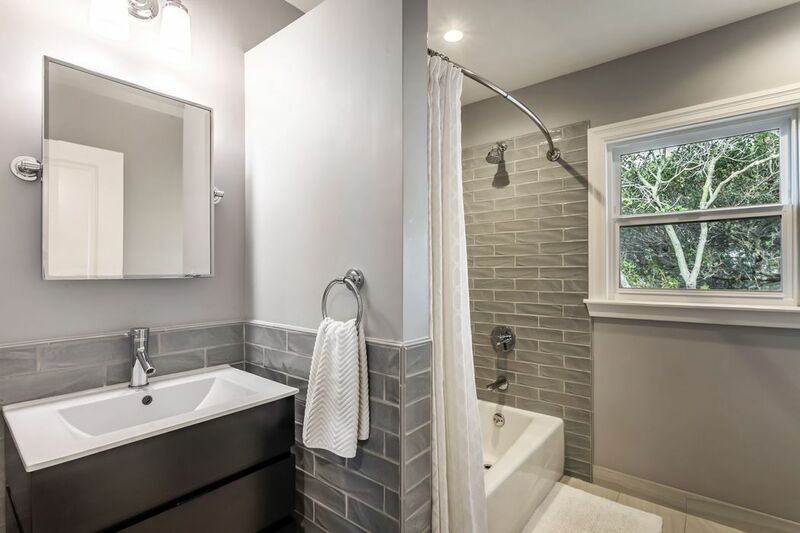 The hall bath comes complete with a tub, and modern tile. 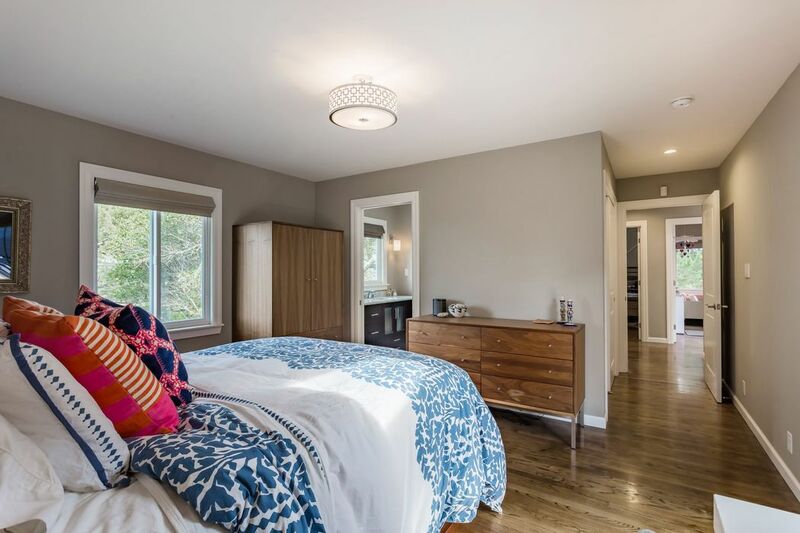 The gleaming hardwood floors accent all the finishes that have come together brilliantly to offer modern living. 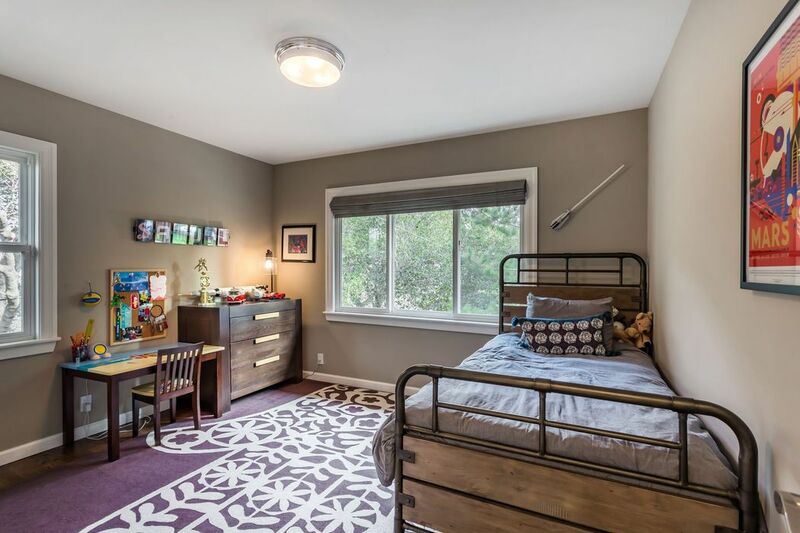 There is also a 2 car attached garage with a laundry area.